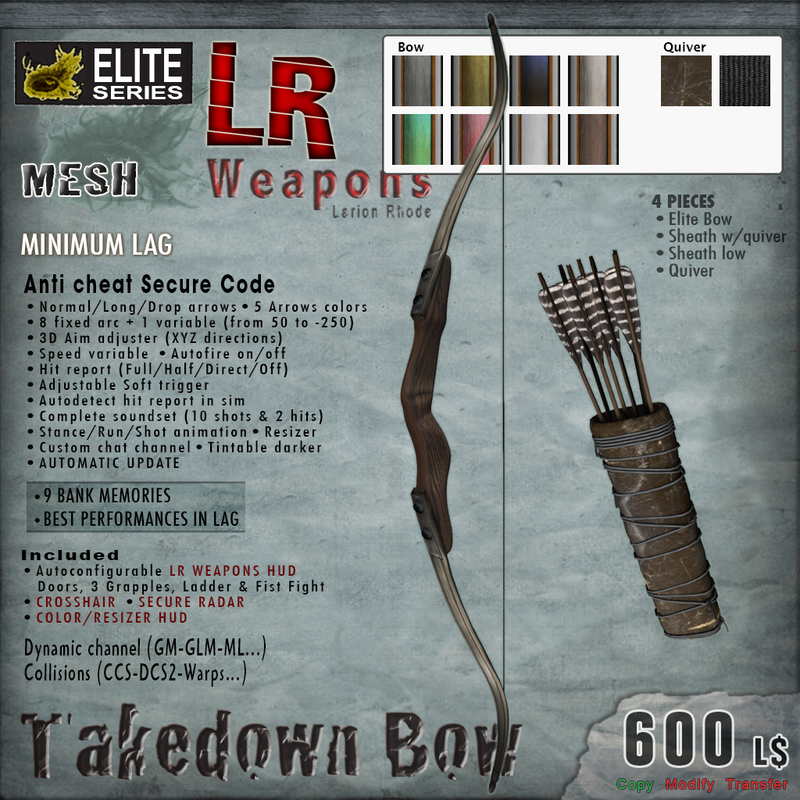 The Takedown Bow is a new addition from LR Weapons and it is a new addition to the We Love Roleplay even for April 2016. The great news is that its 25% the retail price at the event once again. So Kitty will introduce the main difference from other great quality bow from LR. It feature all the same anti-cheat, low lag scripts but this bow actually comes in 8 different texture and 2 quiver texture. 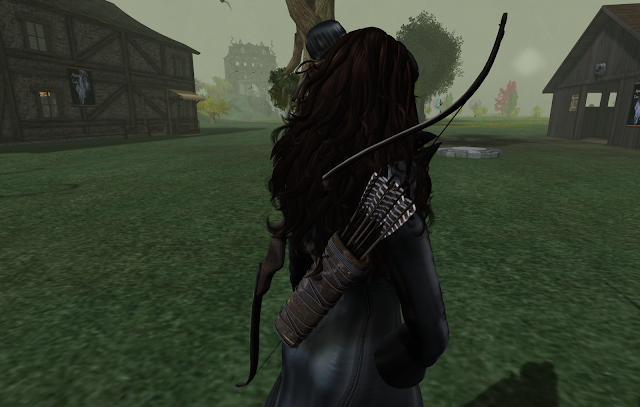 All this is controlled easily from a custom HUD and Kitty is showing you the default bow and quiver on the back if you have not touch the HUD. And now see the difference! Kitty has chosen a Red texture for the bow and the other alternative texture for the Quiver! Do you like it? Well at the very least it does give you much more option to fix your outfit! Here is a close up for you to examine the detail texture of the wooden bow. Do you see the alternative position for the quiver? And here is a close up of the quiver on your thigh. There are also 6 arrows there (and they magically refilled when you fire them) in the quiver for you, ready to make someone hurt. And there is also a 3D aim adjuster which allow you to calibrate your aim in X,Y and Z planes as well as a radar included. That could really come in handy in some places where the default radar is blocked and tracking is a big issue.